In what will be the first time Bahrain will see a female MMA fights, 53 women athletes from across 22 countries will competing for the IMMAF World Championship. Five champions will be crown in a six day tournament November 11-19. The US has one lone representative in bantamweight Fotini Kandris. Sunday night, Paraguay’s Fight Kuna promotion made history as they held the first ever all female card in the country. The main event featured Paraguay trained Stephanie Bragayrac getting a submission win over Argentina’s Yazmín Marzo. The rest of the 10 fight card established some new stars in South America. At World Series of Fighting in Tokyo, Japan, Japanese fighting legend Hisae Watanabe made a successful return to MMA, defeating Ye Ji Lee by TKO at 3:00 of round 2. Watanabe (20-6) hadn’t fought MMA in nine years, but she came in like she hasn’t missed a step. The KO specialist racked up her 12th finish by that method and will look to make an impact in the atomweight division. In the other female bout on the card, Ukraine’s Anna Bezhenar got her second win as a pro, defeating Singapore’s May Ooi by unanimous decision. Holly Holm has taken more World MMA Awards than any other fighter. Holm won four trophies, including Upset, Newcomer, Knockout, and Female Fighter of the Year at the ceremony this past weekend at the Venetian in Las Vegas. The ceremony will air on Friday on Fox Sports 2. It is a rematch everyone wants to see, and it will be in the UFC. Tecia Torres will looks to keep her record undefeated as she takes on Rose Namajunas on April 16 in Tampa, Florida. The match could see the next contender for the strawweight title. Torres (7-0) is coming off a win over a late replacement in Jocelyn Jones-Lybarger in December. She is officially 3-0 in the UFC. Namjunas (4-2) has won back to back fights, with her only losses to Torres and Carla Esparza. The two first squared off at InvictaFC 6 in 2013, with Torres taking the unanimous decision win. Also announced for the card, Raquel Pennington (6-5) is looking for her second straight win against former title challenger Bethe Correia (9-1). Both matches will air on Fox Network April 16. Jessica Aguilar and Juliana Lima have agreed to a fight. Rumor is UFC 198 in Brazil May 14. Aguilar (19-5) was on an 11 fight win streak before losing her UFC debut to Claudia Gadelha. Lima (8-2) is coming off back to back wins. The Ultimate Fighter 23 has started shooting this past week, with “Get in the House” matches. The cast has yet to be announced, but won’t surprise us if they are revealed during UFC 196 fight week. Multiple WMMA Press Award winner Angela Lee will be back in action February 20th as she takes on Rebecca Heintzman at One Championships in Jakarta, Indonesia. Lee (4-0) has submitted all of her pro opponents with her first three in the first round. She won the “Submission of the Year” with a twister over Natalie Gonzales-Hills. Heintzman (2-1) was undefeated as an amateur and is coming off a decision loss to Katlyn Chookagian. Both fighters have signed multi-fight deals with the promotion. The fight will stream on OneFC.com. Top atomweight Mei Yamaguchi will return to PXC to take on Tessa Simpson in Guam March 18th. Yamaguchi (15-8-1) has won three straight since her drop to 105. She had lost back to back razor thin split decision at PXC. Simpson (3-1) is coming off a decision win over Paulina Granados at Legacy. The match will stream on PacificXtremeCombat.com March 18th. Jessy Rose Clark will look to get back on the winning track by taking on Australian kickboxing star Jade Thomson at Brace MMA March 26th. Clark (5-1; 1NC) is coming off a loss to Pannie Kianzad at Invicta this past July after winning three straight. Thomson will be making her MMA debut after winning multiple regional Muay Thai titles. She also has a background in karate and is a purple belt in jiu-jitsu. The fight will stream on UFC Fight Pass March 26th. InvictaFC vet Maria Hougaard Djurssa will look to get back in the win column taking on Lina Lansberg at Odense Fight Night in Denmark March 12th. Djurssa (5-6) has lost back to back fights including her InvictaFC debut in 2014. She has wins over Alexandra Buch and Jorina Baars. Lansberg (5-1) lost her pro debut to Pannie Kianzad but has yet to lose since. A win could put her on the map for Invicta or the UFC. XFC announced Silvana Juarez versus Julie Werner on March 19 in Sao Paulo. More matches to be announced in the coming weeks. Zoila Frausto will make her return to Tachi Palace Fights February 18th in Lemoore, California. No word on an opponent. Princesses of Pain exited their year crowning a new 175 pound champion. The main event saw Renata Poa and Gase Sanita battle to a close split decision, with Poa getting the judges’s nod. Natalie Stuart, Rian Stuart, and Briar Johnson all received wins to round out the pro portion of the card. The 19 fight event included a daytime all amateur female card. Several ammy fights happened during the evening portion, including a submission of the night performance by Chelsea Retemeyer. She would use an Americana to submit Tania Barnett in the opening fight of the night card. Princesses of Pain continues to be one of the longest currently running all female promotions on the planet and have discovered stars for Invicta and Bellator. 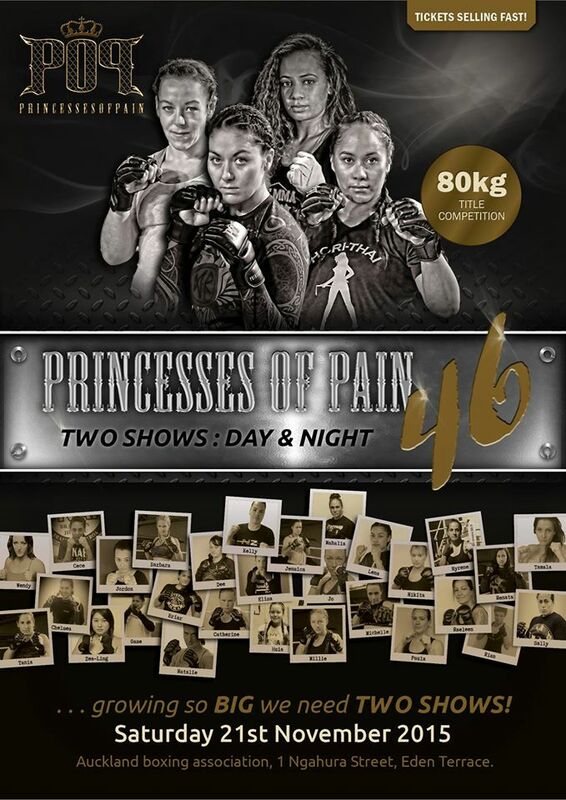 POP looks to continue to put the spotlight on New Zealander and Australian female fighters with a two part card this coming Saturday in Aukland, New Zealand. The main event will feature Gase Sanita taking on Renata Poa. The daytime side of the card will see the future of the promotion battle in amateur bouts. Australia’s Cleo Magazine is known for being on top of fashion trends, fitness tips, and celebrity interviews. 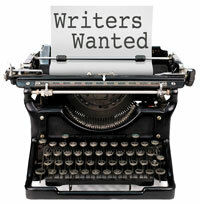 For this story, however, deputy editor Lizza Gebilagin decided to get more hands on. The online series “Fight Like a Girl” chronicles Gebilagin 2014 journey to train to become a MMA fighter. Having never even threw a punch in her life, she dove in head on into the fighter lifestyle. This included giving up her vices and training six days a week, while balancing her job, friends, and family. She didn’t do this alone as some of the top fighters in the country bestowed some wisdom on her, including UFC fighter Alex Chambers and boxing champ Lauryn Eagle. The six episode series wraps this week with Gebilagin MMA’s debut at Brace MMA. You can watch all six episodes here. The female fighting website Awakening Fighters handed out their awards for 2014. The fans voted on the site for the winners. UFC champion Ronda Rousey and Ultimate Fighter 20 vet Randa Markos-Thomas took the most awards; both taking home four. Rousey took home KO and Fight of the Year honors for her match with Alexis Davis. 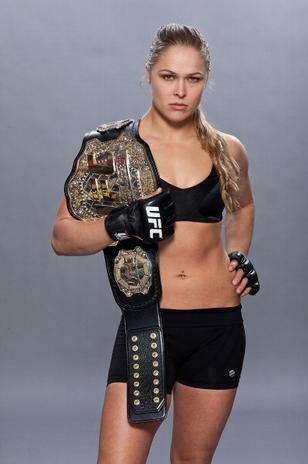 She would also be named Bantamweight and Overall Fighter of the Year. Markos made an impression this year, as she took home Submission (over Felice Herrig), Inspirational, Personality, and Strawweight of the Year. Other winners include Roxanne Modafferi (Flyweight), Amanda Bell (Featherweight). Michelle Waterson (Atomweight), Jessy Rose (Newcomer), and Ilima-Lei Macfarlane (Amateur). InvictaFC took home Promotion of the Year. Wombat Sports took third in the voting for both website and reporter. We’s like to thank all of you who voted for us. After a nine month absence, Raquel Pennington (5-4) came back to the octagon and handed Ashlee Evans-Smith her first pro loss at UFC 181 in Las Vegas, NV. Smith used her wrestling to control the majority of the round, opening a gash in the middle of Pennington’s forehead. Towards the end of the round, Pennington landed a takedown and as Smith was standing up, Pennington took the back and was able to get the bulldog headlock on Smith. Pennington used it to choke out Smith and Smith was out right before the bell rang to end round 1. The ref stopped the fight. Pennington gets back on the winning track after a close decision loss to Jessica Andrade. 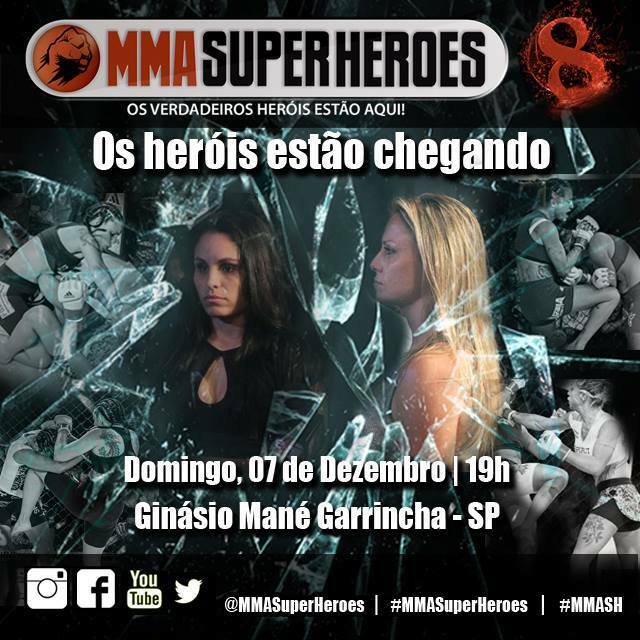 MMA Super Heroes ended the year with three female bouts in São Paulo, Brazil. 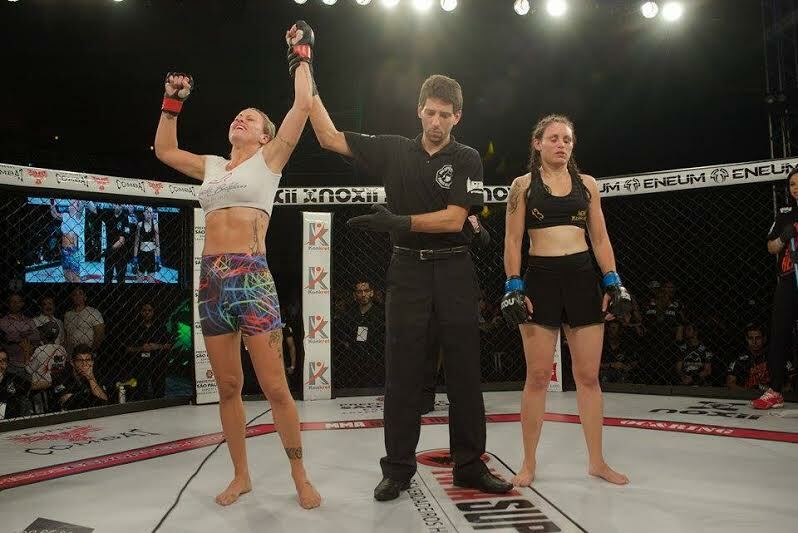 Tournament champion Renata Baldan recovered from her first pro loss by defeating Luciana Treze by unanimous decision. Baldan improves to 4-1. Mariana Leonardo gains her 4th by defeating Karina Santana de Oliveira by TKO round 1 after Oliveira ends it inbetween rounds. In an amateur atomweight bout, Solange Tirolli defeated Adriana Curtz by TKO in round 2. Bantamweight prospect Jessica Zomchik earned her second professional 1st round armbar, this time defeating Stacey Sigala at Gladiators of the Cage in Pittsburgh, PA. In two amateur bouts on the card, Jena Baldwin defeated Jamie Driver by split decision and Melissa Gasdick defeated Sarah Click by disuqalifcation after an illegal head kick round 2. Nicole Wesner earned he first world titles in spectacular fashion this past weekend in Vienna, Austria with a knockout over Gina Chamie in round 3. With the win, Wesner wins the vacant WIBF and vacant WBF lightweight titles. Wesner remains undefeated at 9-0. Arely Mucino earns her second world title defeating Shindo Go by unanimous decision to win the WBC World flyweight title in Monterrey, Nuevo León, Mexico. Mucino was the former interim WBA flyweight champion. Mucino (21-2-2; 1 NC) increases her undefeated streak to seven. Jackie Nava successfully defended her WBC and WBA super bantamweight title, getting an unanimous decision over Sayda Mosquera in Sonora, Mexico. Nava (31-4-3) had defended her WBA title for the fifth time and her WBC title for the second. Her win streak continues at seven. In a heavyweight rematch Sonya Lamonakis defeated Carlette Ewell by split decision to win the vacant IBO World heavyweight title in Philipsburg, Sint Maarten. The two went to a draw in 2012 and this match was so close, we won’t be surprised if we see a trilogy match. EBU female super bantamweight champion Karine Rinaldo improves her win streak to eight, defeating Nevenka Mikulic by unanimous decision in Corse-du-Sud, France. Rinaldo (11-1-1) defend her title for the first time since winning it back in June. In action Friday morning, Suvi Salmimies and Isabelle Pare fight to a draw at Cage 28 in Finland. In the second quarterfinal of TUF 20, Jessica Penne defeated Aisling Daly by decision after a third extension round. You can read MMA Rising’s report in the fight here. Next Wednesday, the finally two quarterfinal matches as Carla Esparza faces Tecia Torres in a match a year in the making, and Rose Namjunas takes on Joanne Calderwood. Irene Alana has an unknown illness and is out of InvictaFC 10 next weekend against Marion Reneau. A replacement has yet to be named. Two female bouts have been announced for MMA Super Heroes last card of 2014. Tournament winner Renata Baldan looks to recover from her first loss as she takes on unbeaten Luciana Treze in a strawweight contest, and Karina Santana de Oliveira looks to gain her second win as a pro against flyweight prospect Mariana Leonardo. Australia’s XFC (not to be confused with XFC International) will start its flyweight tournament February 28, 2015 in Brisbane. The opening round features Terissa Wall (1-0) taking on Kate Da Silva (7-2) and Jaz Walker (1-0 ammy) battling Hera Tamati (0-1). We wish a speedy recovery to InvictaFC vet Jasminka Cive as she is battle a staph infection. Still some heavy rumors that InvictaFC 11 will be in Denver. 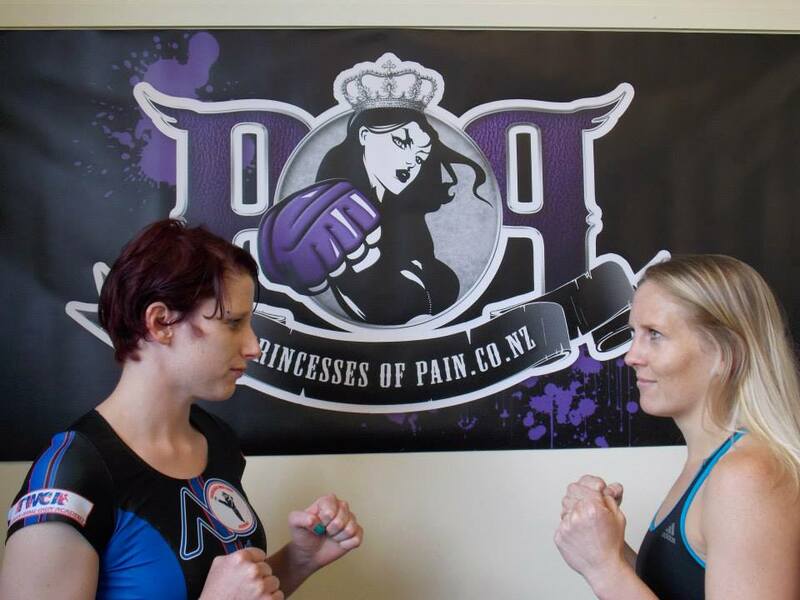 Princesses of Pain is back as they are set for their all female MMA card this weekend in New Zealand. In the main event, champion Kate da Silva will start her drop in weight classes, taking on Rhiannon Thompson in a 132 pound catchweight bout. In the co-main event, Tairi Ford and Gaela Nixon duke it out in a flyweight contest. You can watch a preview of the card here. Amateur standout Roma Pawelek will make her long awaited pro debut as she takes on the undefeated Ashleigh Heustis at Beatdown in Newtown, ND. Also on the card, InvictaFC vet Kathina Catron battles Rachael Smith. Pound for pound queen Cecilia Braekhus will defend her four titles this weekend in Frederiksberg, Denmark. The 26-0 WBA/WBO/WBC/IBF World welterweight champion will take on #1 contender Jennifer Retzke. Retzke (15-1-1) has only lost once in the past 4 years. She is the current IBO welterweight champion, but will not be defending her title. Both Brækhus (64.6 kg) and Retzke (66 kg) made weight. 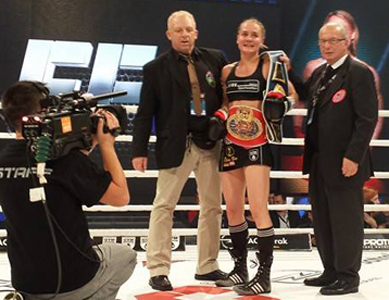 Also on the card, Klara Svensson will defend her interim WBC World light welterweight title against Lucia Morelli. In Guanajuato, Mexico, Jessica Gonzalez will defend her interim WBC World female bantamweight title for a second time against Magali Rodriguez. Gonbzalez (5-1) won the title last year, and is coming off a split draw to Estrella Valverde this past August. Rodriguez (14-5-1) is coming off a TKO win over Marisela Landa in August and is looking for her first win. Invicta adds another bantamweight to their roster. Jessy “Jessy Jess” Rose Clark announced Sunday she has signed to the promotion. Combat Press was the first to report the news. Clark (5-1) is one of the rising stars out of Oceania, with wins over Bellator signee Arlene Blenclow and New Zeland star Kate Da Silva. Out of her five wins, four were finishes. No word on when Clark will make her debut. In action Thursday, Costa Rican flyweight Reyna Cordoba submitted Anely Jimenez by 3rd round keylock. Cordoba moves to 7-0. In Perth, Australia, Erin McGowan gains the vacant WIBA World lightweight title by defeating Arlene Blencowe by unanimous decision. McGowen improves to 17-2. Kenia Enriquez defeated Ana Arrazola by unanimous decision to win the vacant WBO World flyweight title in San Diego, California. Enriquez remains undefeated and gains her first world title. In Hamilton, Bermuda Kali Reis knocks out Teresa Perozzi in round 3 to win the vacant IBA World Middleweight title. Reis wins her first world title. The quarterfinals of TUF 20 started this past week, with #14 seed Randa Markos continuing her Cinderella run in the tournament. submitting Felice Herrig by scarf armbar round 1. This was the first time Herrig has been submitted in her MMA career. Markos will face the winner of the Rose Namajunas versus Joanne Calderwood match. Doctors are estimating 50 days for Leslie Smith’s ear to heal enough to get back in the gym. Montana’s Fight Force MMA announced a match between local fighter Ariel Beck and MMA vet Angela Hayes December 6. Beck is coming off a loss in her pro debut to Emily Corso. The boxer is looking to show some of her improved ground game against Hayes (6-7) who also comes from a boxing background. Hayes lost to Holly Holm last year, and has been the only fighter to take Holm the distance. 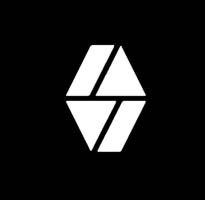 No word on if this will be streamed. This Sunday on the podcast, we will talk to InvictaFC star and veteran fighter Tonya Evinger about her current stretch of wins and preparing to fight Cindy Dandois. You can listen to the podcast here at 1 p.m. pst/4 p.m. est Sunday. Roxanne Modafferi and Vanessa Porto was suspected to be a number 1 contenders match, but Shannon Knapp told CSS Radio this wasn’t the case. Knapp has yet to decide who will face champion Barb Honchak next, but Modafferi or the winner of the Jennifer Maia and DeAnna Bennett match seems to be the best candidates. Knapp doesn’t want to throw Andrea Lee too deep into the pool as of yet. InvictaFC vet Paige VanZant will make her long awaited octagon debut against PXC vet Kailin Curran at UFC Fight Night in Austin, TX. Their match will stream on UFC Fight Pass Saturday. Both Curran (115.8) and VanZant (114.8) made weight. VanZant (3-1) is coming off a submission win over Courtney Himes last year, and her only loss was to Tecia Torres. Curran has notable wins over Emi Tomimatsu and Kaiyana Rain. After a two year absence, Molly Helsel will return to action. The journeywoman fighter has found a home in Tucson, AZ and will compete there for the for WFF promotion against Lori Agins. Both fighters came in at 136.5. Helsel is looking for a comeback after several fight of the night performances against some of the toughest fighters on the planet. Agins would get some recognition with a win over Helsel. In an amateur bout, Tracy Cortez will face Arianne Christiansen. Leah Letson makes her pro debut against Christina Jobe at King of the Cage in Carlton, MN. In amateur action, Elizabeth McKenzie takes on Katheryn Bassignana. V3 Fights will have a trio of female fights Saturday night in Nashville, Tennessee, and you can watch for free V3Fights.com. 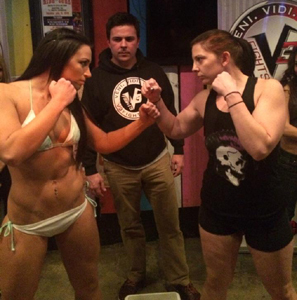 Molly Dupertuis will have her final MMA match as she takes on Adriene Rainey. Dupertuis was a rising star in the sport but she has been diagnosed with multiple sclerosis and wanted one more fight before she hangs up the gloves. Undefeated bantamweight prospect Jamie Milanowski looks to continue her climb as she takes on 1-1 Erica Fincher. Rounding out the female bout, Briannah Conaster and Amy Coleman look to break losing streaks in a flyweight bout. The card starts at 5 p.m. pacific/8 p.m. est.